I’ve been on a historical fiction kick and I have been seeing out those that have a dual-timeline. Set in different eras of war, The Light Over London and Bellewether are two such books that NetGalley kindly provided me for review AND that I couldn’t put down. Please note, this post contains affiliate links. 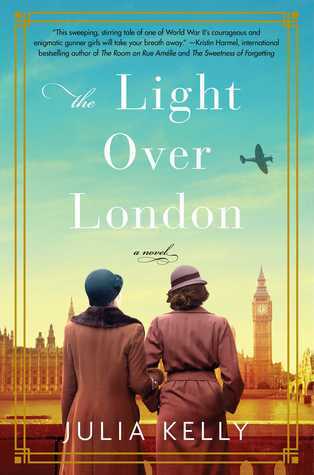 The Light Over London by Julia Kelly ticked all the boxes for me: World War II fiction, romance, compelling characters – AND I learned something new with the Gunner Girl storyline. There are many parallels between the two women. They share a similarity in that they take on challenges to overcome or escape something. Cara is in the process of recovering from a difficult divorce when she discovers the trinket box and decides to learn more about the woman in the diary. Louise is escaping the seemingly dull life that lies ahead for her, planned out by others when she joins the British Army. The gunner girls provide her with a bit of daring as well as a challenge. Both women also develop love interests. As Cara researches the book, she meets her neighbor Liam who also shares an interest in history. A relationship tentatively evolves between them. On the other hand, Louise has thrown herself headlong into a relationship with Paul, an RAF officer, and things progress very quickly there – almost too quickly. They also both must deal with secrets. Cara uncovers both the secrets of the diary and those in her Gran’s past, while Louise deals with that which Paul has been hiding, and must keep a secret of her own. While Cara’s present day story was interesting, it was the WWII setting and Louise Keene’s storyline that really sucked me in. She was a strong and pretty complex character, and the author paints a vivid (and bleak) picture of life both in Cornwall and London. I loved the heartfelt, descriptive writing in this story and how it drew me in. Kelly deftly switches the narrative between the two characters. While the ending was not what I expected, where I really have an issue is with the blurbs comparing The Light Over London to The Nightingale and The Lilac Girls. Other than the WWII setting, I don’t see the similarities, and I find the blurb unfair to this book to set up expectations for a similar story. While history is the thread that weaves these two stories together, this is really a book about their relationships. Strong women, secrets, the perils of wartime romance – this book was hard to put down. If The Light Over London sounds like your cup of tea, click here to purchase on Amazon or you can click here and Indebound.org will help you find your nearest independent bookstore! Where The Light Over London initiates the second timeline over a found object (I love stories set in antiques shops), Belleweather historical timeline is introduced via historical research done by one of the main characters. The story is told from three points of view: by Charley in the present day, and by both Lydia and Jean-Phillipe in the past. While the synopsis above talks about Lydia and Jean-Phillipe, it doesn’t much mention the present day storyline. Here, a woman named Charley takes a job as curator of a historical home that is in the process of being turned into a museum, as well as take care of her niece following the death of her brother. That sister was Lydia, and the prisoner was Jean-Phillipe. The author offers an extremely well-researched novel with prose that flows beautifully. She weaves the two storylines well and keeps the plot moving steadily. This was a lovely character-driven novel – both primary and secondary characters are well developed. The pace of this story is slow (at times, there is a great amount of detail on the curating process). While on reflection this plot was not packed with action, it still managed to keep me turning pages. This is a story about relationships, grief, and what we do for those we love. As with The Lights Over London, once again, it takes an author to introduce me to a piece of history of which I little knowledge beyond the basic facts taught in school. 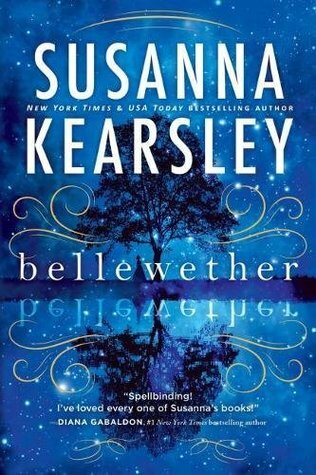 Bellewether was an engaging read with the right blend of history and drama. If you enjoyed Bellewether, you can click here to buy it on Amazon or click here to purchase at your nearest Independent bookstore. If you enjoy historical fiction, take a look at my review The Little Shop of Found Things, a historical fiction/time-slip book by author Paula Brackston. If gripping dual-timeline tales are more your thing, Before the Rain Falls by Camille de Maio is another must read.